Sharing music with others is so gratifying! Hear music that is new to you, play some music yourself, and learn more about the styles and genres of music! 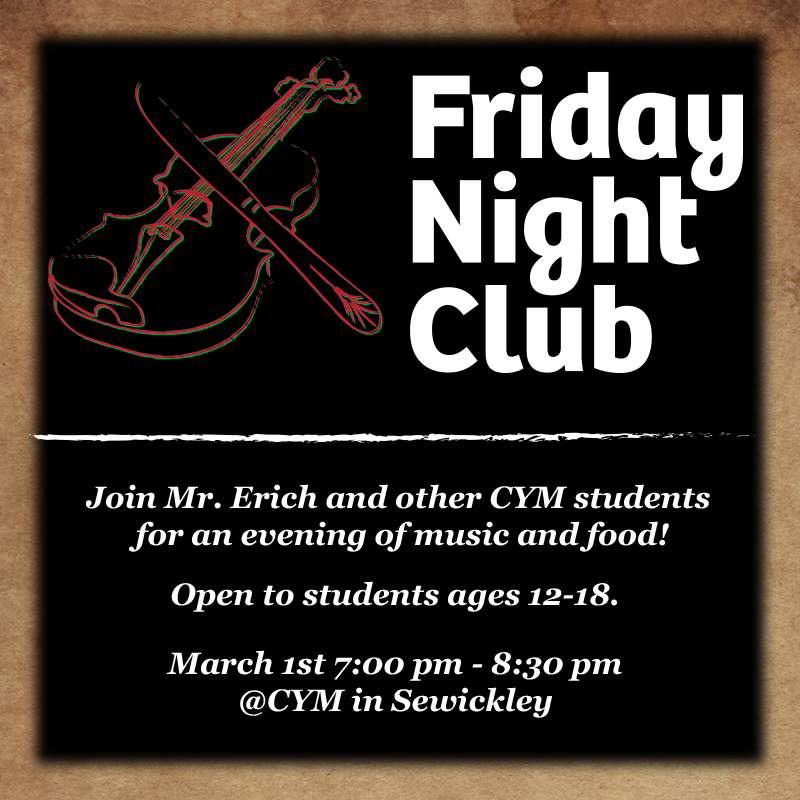 Join Mr. Erich and other CYM students for an evening of music and food! Designed for students ages 13-18, the Friday Night Club is the place to perform in a chill environment! After the performances, have fun listening to and exploring music that relates to each student’s performed material! Fun will ensue, and food will follow! Come hang out with your music friends, and make some new ones! See you March 1!